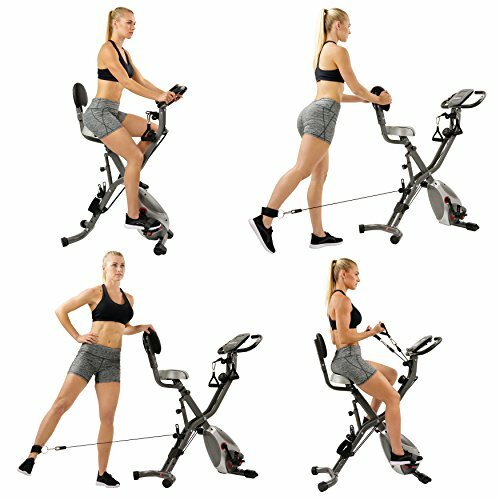 A full body workout, in the comfort of your own home, is now totally achievable with the Sunny health and fitness total body bike. 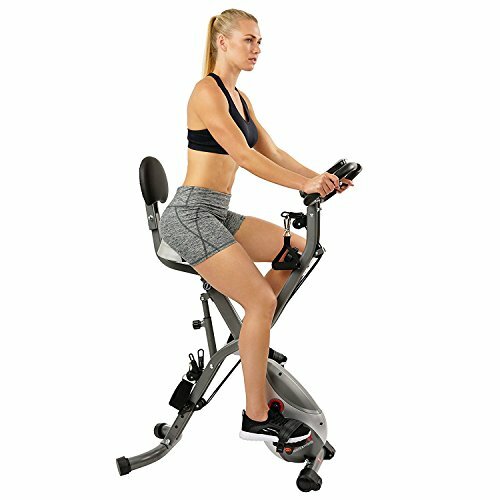 The indoor cycling bike combined with the adjustable arm resistance bands allow for a unique workout to get your heart pumping and sweat dripping! 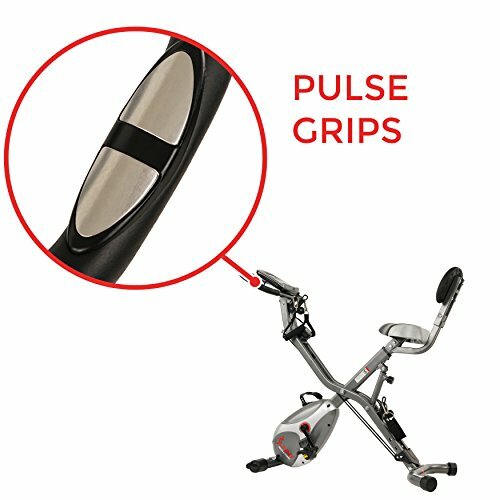 the enhanced digital monitor tracks your pulse, speed and distance to help you achieve fitness goals. Watch your favorite videos and listen to music on your tablet or smart phone using the device holder. Bring fitness home with the SF-B2710 total body bike. Digital monitor: effectively tracking your fitness progress is simple with the easy to read multi-function digital monitor. 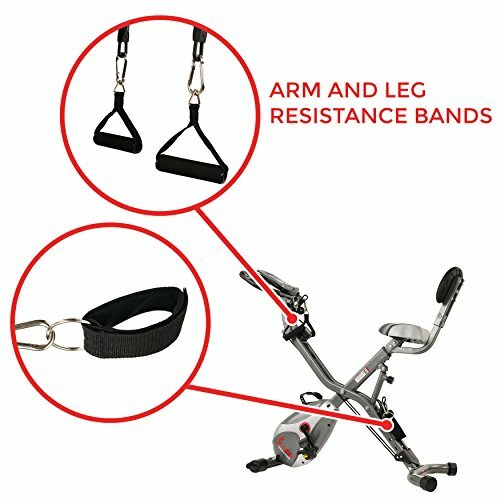 Arm resistance bands: the durable arm and leg resistance bands allow targeting of various muscles like your traps, biceps and pectorals while maintaining a full range of motion. 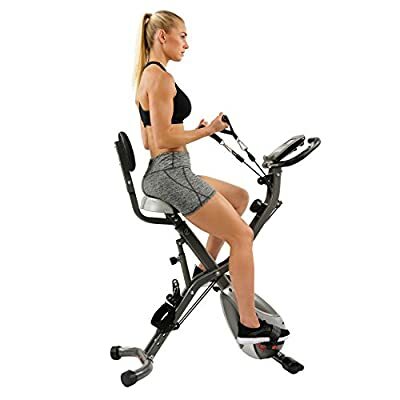 Cycling bike: build endurance as you customize the adjustable resistance levels on the magnetic belt drive mechanism which keeps the stationary bike low maintenance and reliable. 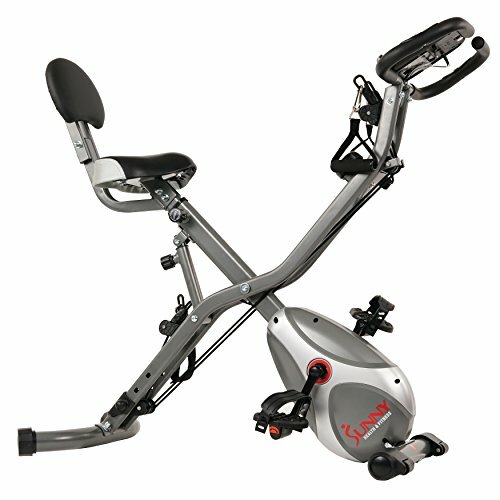 Space Saver design: the transportation wheels and folding capabilities of the total body fitness machine gives you control of your workout and in-home space! comfortable & adjustable seat: the wide, padded seat holds up to 265 lbs. allowing for a comfortable and longer ride. Max user weight: 265 lbs. ; drive mechanism: belt drive pulse monitor: yes inseam height Min/max: Min 31 in/max 36 in product dimensions: 33. 8L x 18. 5W x 48H product weight: 42. 3 lbs.